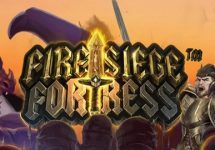 Bonus cards, cashback and boosted wins on the Live Casino tables! Halloween is upon us and the Betsson Group made sure that table enthusiasts have got their hands full during the Trick or Treat Week. 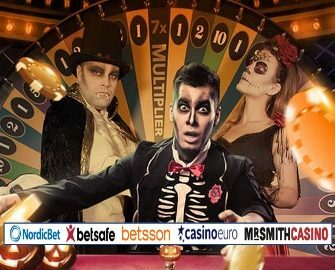 Players at Betsafe Casino, Betsson Casino, Casino Euro, NordicBet Casino or Mr. Smith Casino can play on their exclusive Blackjack, exclusive Roulette or Dream Catcher tables to earn extra treats throughout the Halloween week. Hit the casino for a very special trick or treat session from 26th October to 1st November 2018 at any of the Betsson Group casinos – Betsafe Casino, Betsson Casino, Casino Euro, NordicBet Casino or Mr. Smith Casino. Join the dealers on their chosen spooky live casino favorites and play for boosted cash wins and special cashback cash rewards. All treats are credited in cash, no wagering requirements. Terms and conditions apply. Every time a special card will be dealt to a player, that player will win a cash prize of the correspondent amount. All bets behind are excluded. A player cannot occupy more than one seat on any blackjack table. On a qualifying game round, a winning straight-up bet on the number “31”, will be boosted to 50/1, up to 250€. A qualifying game round is a real money bet round, in which the player’s bets do not exceed a 60% layout coverage or more than 22 numbers. Only bets of €5 or less will be considered as qualifying bets for this promotion. A player can only receive a maximum of €500 in boosts in a single promotional day. 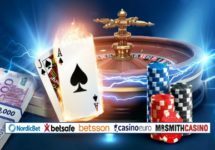 To be eligible for cashback, a player must have total net losses of at least 10€ on Dream Catcher during a single day of the promotional period. The maximum amount to be paid out to a single player as a cash back is €20 per day.